In one bowl mix vanilla pudding+glass of milk+pack of cream. Put in the fridge. In other bowl mix pudding with taste of condensed milk + glass of milk + pack of cream. Put in the fridge. 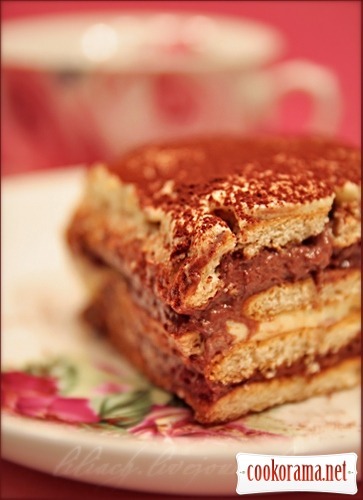 In a rectangle form 25сm * 20сm (5сm high) spread layer of cookies, which were dipped in mixture of milk+coffee. Do it quick, not to soften them. 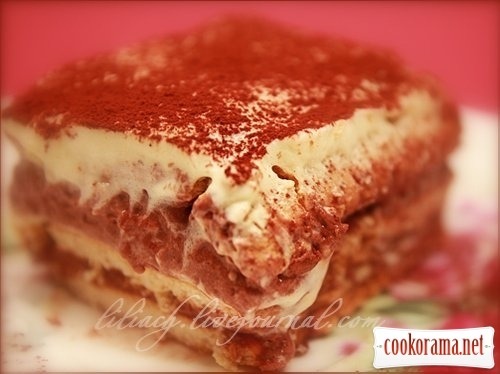 On the layer of cake spread half of cream with condensed milk – layer of cookies – half of vanilla cream. Repeat the layers. Sprinkle the top with chocolate/cocoa. Put in cold place at least for 4 hours. If you do not have time, put in the freezer for 1 hour. Unfortunately, we do not have for sale pudding flavored of condensed milk. So I added into one vanilla cream half can of boiled condensed milk, and it was tasty! You can still make a chocolate cream (ie mix with chocolate pudding) also is great. Top of recipe "Cake "Ortal""
Спасибо! ага, очень напоминает этот вкус. Recipes, Cakes without baking, Cake "Ortal"